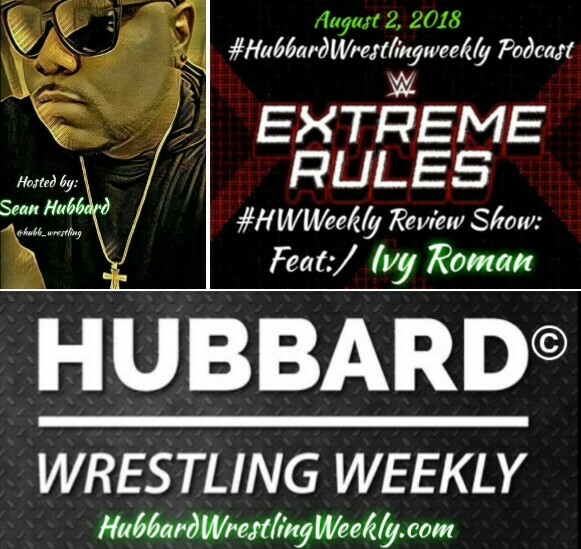 This truly fun and informative episode of the Hubbard Wrestling Weekly Podcast is a special review show as women’s professional wrestling sensation & member of @The_GO4T stable Ivy Roman and HWW host Sean H. discuss/review WWE’s July pay-per-view Extreme Rules. Listen to this great show as IVY and Sean go back and forth about NOT ONLY THE MATCHES… but also the storylines that led to the matches that earned this pay-per-view at 4 out of 5 rating on the #HWWeekly scale. Click play, enjoy, and make sure you listen with extra focus on our review of the Raw Women’s & Universal championship matches as the Silver Queen sounds off about RONDA ROUSEY and the state of the Universal Championship. Also, she makes a prediction on who she believes will face Ronda Rousey in the rumored WrestleMania 35 main event. This is a must listen.